ThaiZeed สังคมของคนรัก ~Anime!! 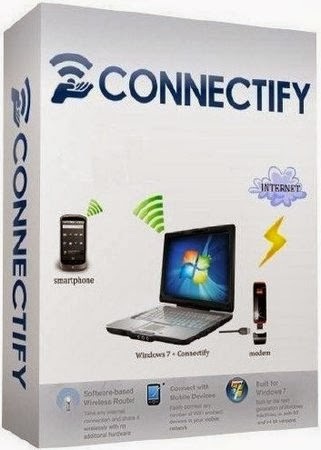 › เว็บบอร์ด › Download Zone › Software › Connectify Hotspot PRO 7.1.0 + Serial โปรแกรมแชร์เน็ตตัวล่าสุด !! Connectify Hotspot PRO 7.1.0 + Serial โปรแกรมแชร์เน็ตตัวล่าสุด !! Connectify Hotspot PRO is an easy to use software router for your Windows computer that lets you transform your laptop into a Wi-Fi hotspot so you can share a single Internet connection - such as wired ethernet, a 3 or 4G card or adapter, even another Wi-Fi network - with your friends, co-workers, and mobile devices. With Connectify Hotspot PRO, you can turn your Windows computer into a real Wi-Fi hotspot that shares that single 3G/4G connection with any other Wi-Fi enabled devices. You'll maximize the value of your 3G/4G card and get all your peripherals online at the same time! 2] Read the README for Installation. GMT+7, 19-4-2019 20:12 , Processed in 0.029752 second(s), 16 queries , Xcache On.